Technology can be interpreted in many ways, from the materials used to make the car, to their Infotainment systems, or even the safety equipment under the skin. We quickly adapt to and find ourselves increasingly dependent on new technology, such as Bluetooth connectivity, music streaming or even electric and hybrid power, which make our lives easier and make our cars a more enjoyable place to be. With more and more cars becoming branded as 'connected cars' it’s important to understand what is meant by this. Connected cars are part of ‘the internet of things’, a term used to describe everyday objects that can be connected to the internet to make your life easier. As well as giving you the ability to control these objects remotely (often by using an app on your smartphone), these gadgets will also communicate with each other. Connected cars are cars that are connected to an external network, like your phone, via Bluetooth, connected to a GPS/sat nav system, or to the internet. Generally, the term relates to cars that have their own internet connection, which enables the driver to staying connected online whilst driving. What are the main features of connected cars? Most people are already driving cars that are connected, for example, cars whose infotainment systems connect to your phone if you can connect to your car’s radio or infotainment system via Bluetooth. Cars are also starting to offer Apple Carplay and Android Auto, which display your phones interface on the cars infotainment system. The great thing about this type of connectivity is that it can automatically save your cars location, which can help you remember where you’ve parked, or even initiate some of the features before you get into your car, like defrosting the windshield (comes in handy on those winter mornings). Like this, cars are now offering ‘in car assistants’ like Amazon Alexa, which allows the use of voice command. Most in-car satellite-navigation systems now give drivers traffic updates, which comes in handy whilst planning a route or re-routing the journey to avoid the congestion. It’s becoming more common for top of range cars to have their own internet connection for passengers to connect to, while several cars also offer roadside or emergency assistance at the touch of an SOS button. 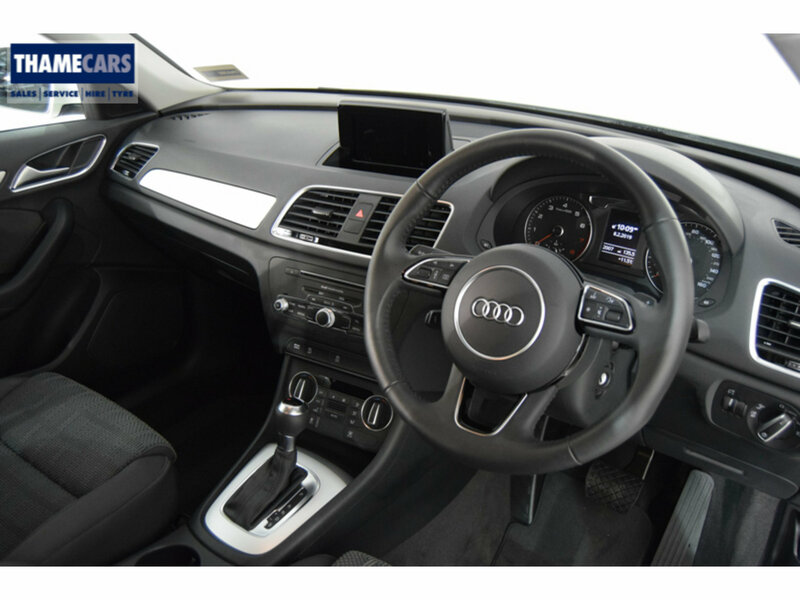 Discover the features of the cars we currently have in stock here. We aim to help you with all your motoring needs. From providing beautifully prepared cars, ensuring they're clean and safe as well as keeping you informed on all the car news. Thame Cars is a company you can trust in the automotive business.